Drinking and eating has been a large part of human socializing throughout the centuries. No meal of any kind would be complete without some kind of drink or beverage. Water and milk have been basic drinks throughout history. As water is essential for life, it has also been the carrier of many diseases. But did you know that by definition, water itself is often not classified as a beverage, and the word beverage has been recurrently defined as not referring to water. However, water is the most consumed drink in the World. Imagine that. After water, milk is regarded as one of the “original” drinks and a primary source of nutrition for babies. In many cultures of the world, especially the Western world, humans continue to consume dairy milk beyond infancy, using the milk of other animals , especially the milk that is harvested from cattle, goats and sheep, as a beverage. Plant milk, a general term for any milk-like product that is derived from a plant source, also has a long history of consumption in various countries and cultures. The most popular varieties internationally are soy milk, almond milk, rice milk and coconut milk. On the other hand alcoholic beverages, such as wine, beer, and liquor, all which contain some form of ethanol, have been part of human culture and development for 8,000 years. In Ancient Greece, a social gathering for the purpose of drinking was known as a symposium, where watered down wine would be drunk. Given the science and the effects of wine on the human body, I am sure that there was very little intellectual exchange taking place at the time at these ancient gatherings! As humankind evolved and civilization developed, new techniques were discovered to create drinks from the plants that were native to in a given area. 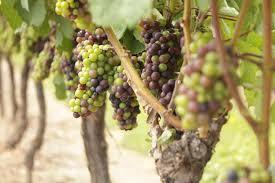 For example, the earliest archaeological evidence of wine production has been been found at sites in Georgia on the Asian continent (c. 6000 BC) and in Iran (c. 5000 BC). Beer may have been known in Neolithic Europe as far back as 3000 BC,and was mainly brewed on a domestic scale .Some of the earliest known glyphs and writings refer to the production and distribution of beer can be found in Ancient Egypt and in the Code of Hammurabi which included laws regulating beer and beer parlors, There is also “The Hymn to Ninkasi”, a prayer to the Mesopotamian goddess of beer, which served as both a prayer and as a method of remembering the recipe for beer in a culture with few people were literate. The invention of beer (and bread) has been argued to be responsible for humanity’s ability to develop technology and build civilization.Today, the brewing industry is a global business, consisting of several dominant multinational companies and many thousands of smaller producers ranging from brewpubs to regional breweries. Tea likely originated in Yunnan, China during the Shang Dynasty (1500 BC–1046 BC) as a medicinal drink. For the most part, tea, is the second most consumed drink in the world and is produced from infusing dried leaves of the camellia sinensis shrub, in boiling water. There are many ways in which tea is prepared for consumption: lemon or milk and sugar are among the most common additives worldwide. Other additions include butter and salt in Bhutan, Nepal, and Tibet; chewy tapioca balls in Taiwan; fresh ginger in Indonesia, Malaysia and Singapore; mint in North Africa and Senegal; cardamom in Central Asia; rum to make Jagertee in Central Europe; and coffee to make yuanyang in Hong Kong. 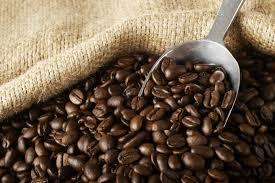 The cultivation of coffee first took place in southern Arabia. The earliest evidence of coffee-drinking appears in the middle of the 15th century in the Sufi shrines of Yemen. Coffee is a brewed beverage prepared from the roasted seeds of several species of an evergreen shrub of the genus Coffea. The two most common sources of coffee beans are the highly regarded Coffea arabica, and the “robusta” form of the hardier Coffea canephora. Coffee plants are cultivated in more than 70 countries Once ripe, coffee “berries” are picked, processed, and dried to yield the seeds inside. The seeds are then roasted to varying degrees, depending on the desired flavor, before being ground and brewed to create coffee. Coffee is slightly acidic with a pH around 5.0. It can have a stimulating effect on humans because of its caffeine content. It is one of the most popular drinks in the world. It can be prepared and presented in a variety of ways. As a stimulant, the effect of coffee on human health has been a subject of many studies.However, results have varied in terms of coffee’s relative benefit. And then there is wine. Wine has a rich history dating back thousands of years, with the earliest production so far discovered having occurred c. 6000 BC in Georgia. It had reached the Balkans by c. 4500 BC and was consumed and celebrated in ancient Greece and Rome.Wine is considered an alcoholic beverage, made from fermented grapes or other fruits. The natural chemical balance of grapes lets them ferment without the addition of sugars, acids, enzymes, water, or other nutrients. Wines are also made from other produce besides grapes and are usually named after the product from which they are produced such as, rice wine, pomegranate wine, apple wine and elderberry wine and are generically called “fruit wine”. The term “wine” can also refer to starch-fermented or fortified beverages having higher alcohol content, such as barley wine, huangjiu, or sake. Food and drink are often paired together to enhance the taste experience. This primarily happens with wine and a culture has grown up around the process. Weight, flavors, and textures can either be contrasted or complemented. In recent years, food magazines began to suggest particular wines with recipes and restaurants would offer multi-course dinners matched with a specific wine for each course. And finally, there is the reason why it is “five o’clock in the afternoon, somewhere in the world”, for the cocktail. A cocktail is an alcoholic mixed drink that contains two or more ingredients. For the most part, cocktails were originally a mixture of spirits, sugar, water, and bitters. The term is now often used for almost any mixed drink that contains alcohol, including mixers, mixed shots, etc. Modern cocktails usually contains one or more kinds of spirit and one or more mixers, such as soda or fruit juice Additional ingredients may be sugar, honey, milk, cream and various herbs. Whatever your favorite drink may be, make sure that while enjoying the meal with family and friends to…..
Eat, Drink, and Be Merry………….